Today is my mother’s birthday. She would have been 87. I am lucky enough to have her papers in a box in my office. She wrote sporadically over the years – observations, thoughts, and more fiction than I knew about. When I looked at these papers as I was helping to clean out her home, I realized that I have followed in her path. I am a closet writer, too. The idea took root at that point that being a closet writer wasn’t enough. It was then that I asked for my own room to write in and made a goal of doing more with it. I am happy to say I have stayed true to that goal. My mom’s desire to write came from a deep place. 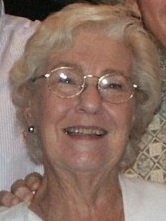 She was an avid reader, a great editor, and knew more words than just about anyone I know. She loved to talk about the books she was reading and shared them freely with all of us, just so we could read them and talk about them more with her. One of her familiar habits was to quietly say “hmmm…” while reading something. That was an invitation to ask “What?” From there, mom would launch into a thought or idea that her reading had triggered. She was a thinker. She couldn’t help wanting to write. Reading through her things is like hearing her voice once again. I dipped into the files yesterday thinking of her and found this small gem. It gives me comfort. I was asked recently if I remembered any part of my life with more pleasure than other parts. I thought about it a bit, said no, and then offered this little story as my explanation. 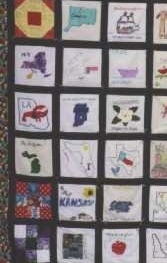 Some years ago, a group of us decided to make a quilt as a money-raising project for a favorite charity – each quilt square to commemorate some achievement or event in the person’s life. As the squares were returned, some of them were very professionally done, some were well-done, some were childishly prosaic, and some more imaginative. There was one which was awful, done by one of our group who had no experience with handwork, nor it appeared, any aptitude for it. But her square depicted a significant event, so it really had to be included. But what was striking was that, once the quilt was put together, the overall effect was wonderful and that poorly done square was just as effective as the more perfectly done ones. Its very imperfection lent a tender authenticity that hearts had involved themselves in this quilt, not just expert fingers. And that is how I look back on my life to this point. All my experiences are as a mosaic that I contemplate with fondness, the imperfect times contributing to the whole as fully as the more successful times. In retrospect, periods of struggle have been instructive; what I have learned has been used to build on and without those experiences, subsequent successes may not have been the same. This entry was posted in Family, General Rambling, writing. Bookmark the permalink. I love your mom’s quilt story. Fabulous. Here’s to her birthday and your pursuit of your own dream. Wow, it sounds like you really had a gem of a mother. Thanks for sharing her with us, and happy birthday to her. Very nice memory, and good message, too! Thanks for sharing, Erin :-). Happy New Year!